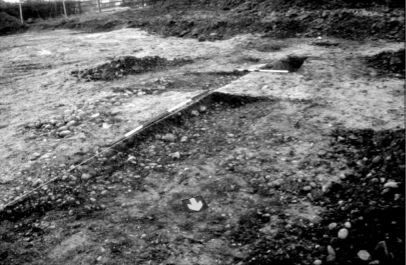 In 1999 the University of Leicester Archaeological Services (ULAS) were asked to undertake a survey of the field at the top of Rectory Lane before the motel construction started on the site. They discovered remains of a small Romano-British farmstead from the 4th century, with strong evidence for agricultural activities such as corn processing being carried out on the site, and of structures, possibly the ancillary buildings of a main farm house. Their full report (ULAS Report 99/142) can be downloaded here. The following is an extract from the Archaeological Services Annual Report, 1999/2000 - with thanks to ULAS for allowing us to reprint the article. One of the most obscure periods of history in Britain is between AD 350 and 450, - the last years of Roman occupation and the time when the first influx of Anglo-Saxon settlers took place - a time often referred to as the ‘Dark Ages’. The excavations of the Romano-British farm-stead at Appleby Magna have produced tantalising glimpses of this time. The site was discovered following geophysical survey and trial trenching in an area where a new hotel was to be built. Two areas were then examined by open area excavation with the remainder of the area subject to a watching brief. 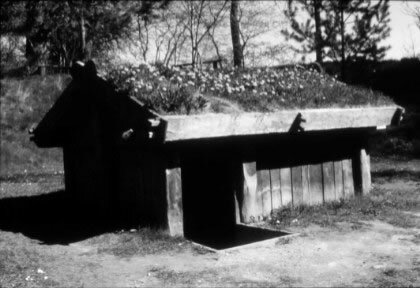 Post holes for timber buildings, ditches and pits were located associated with Roman pottery and coins. Evidence of agricultural processes were present including a threshing floor, a corn drying oven containing charred wheat and barley grains and quernstones used for grinding corn. Animal bones showed that cattle, sheep or goat, pig and horse were kept on the farmstead and evidence of butchery was found on cattle and roe deer bones – the latter suggesting hunting or antler working. Pottery dating to the 2nd half of the 4th century manufactured at the kilns at Ravenstone , only 9.5 km away, was present together with other material of this date from the Nene Valley, Oxfordshire, Derbyshire and Warwickshire. Coins of the Emperors Constantine I and II, Magnentius and Valentinian were found on the site dating between AD 307 and 380. 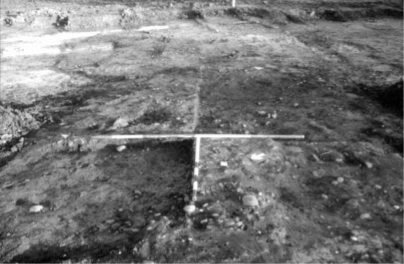 Although all the finds were of late Roman date the site also showed possible evidence of Anglo-Saxon influence in the form of two ‘sunken featured buildings’. These buildings, with their distinctive sunken floors, were used as workshops or for storage and are common on Saxon settlements of 5th and 6th century date. The Appleby Magna examples may show that these were first being used in the very late Roman period or perhaps that Anglo Saxon settlers, bringing their own style of building, were amongst the inhabitants of the settlement still using essentially Roman styles of pottery.